I have to be honest here. This website is getting me down. I feel pressured to have something writerly to say everyday, but I don’t. Plus, I have been doing a lot to promote Painted Blind, but most of the time I forget to return and report. Well, guess what? That is my name up there in the web address, and I am more than just a writer. So, I suppose you’ll have to bear with me if I wear another hat. 1. Librarians are my new best friends! 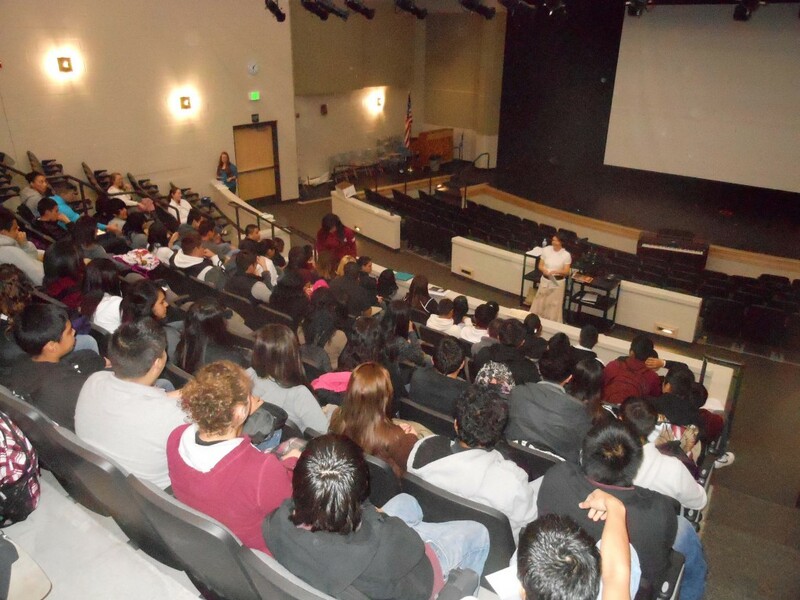 I spent all day Monday going around to ten local high schools inquiring about school visits. Being an English teacher myself, I thought I should meet up with the English teachers. WRONG! Teachers are too busy, especially this time of year, but librarians are a writer’s dream. They were happy to see me and chat about the book, and they were excited to get me connected with programs for young writers and authors. I LOVE THE LIBRARIANS! 2. I listed Painted Blind on a Goodreads giveaway, and already 205 people requested it. Hooray! There is a widget at the bottom of the main web page. Scroll all the way down and click. It will take you there. 3. I have two events coming up, which I will also post on the events page. First, tomorrow night at Tidally Diddaly’s in Mattawa, we are having a launch party and book signing. My son just brought in the paper, and there is a very nice write up about the event and the novel. So, tomorrow night from 6-7 pm, I will be signing books for all the Mattawa peeps. Come out and see me! 4. Wednesday, June 13th from 7-8 pm, is another launch party and book signing at the Richland Public Library. I took them a copy of Painted Blind on Monday, and we got the event rescheduled. So, if you are in Richland, you should be able to check out the book sometime this week. I will be sending out fliers and invites soon. If you are in Tri-Cities, WA area, and you want an invite, send me a message. I am happy to send you one. Grab some friends and come visit! 5. The Taste Test blog tour is beginning May 21. I am really excited to introduce my readers and friends to this awesome group of indie authors. And, of course, there will be giveaways! We have lots of fun prizes, so I hope you will check back and enter. 6. Last and certainly not least, I checked in with the folks at ATOMR blog tours, who is organizing the blog tour for Painted Blind at the end of the summer. Currently there are 35 blogs signed up to participate. THIRTY-FIVE! I literally screamed when I read the email. I will be posting more info and their cute banner as the date gets closer. I haven’t forgotten my promise to post Cupid & Psyche in artwork. 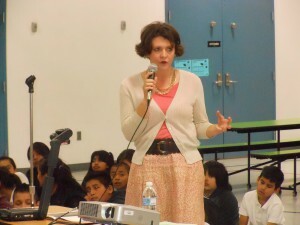 I was very happy to be invited to speak at Young Author’s Day at a local elementary school. 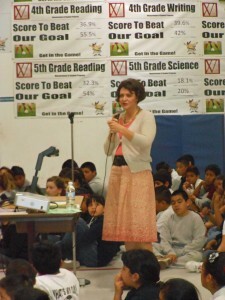 Young Author’s is close to my heart because it was my favorite thing about elementary school. Here it is much different than when I was in elementary school. They don’t spend a month having every child craft a story, but I am happy that they are still encouraging kids to write. Another elementary school is having their Young Author’s Day next Friday, and they have asked me to come and talk about writing and goals. There is one advantage to elementary school (as opposed to high school visits) …. The younger kids always have LOTS of questions. 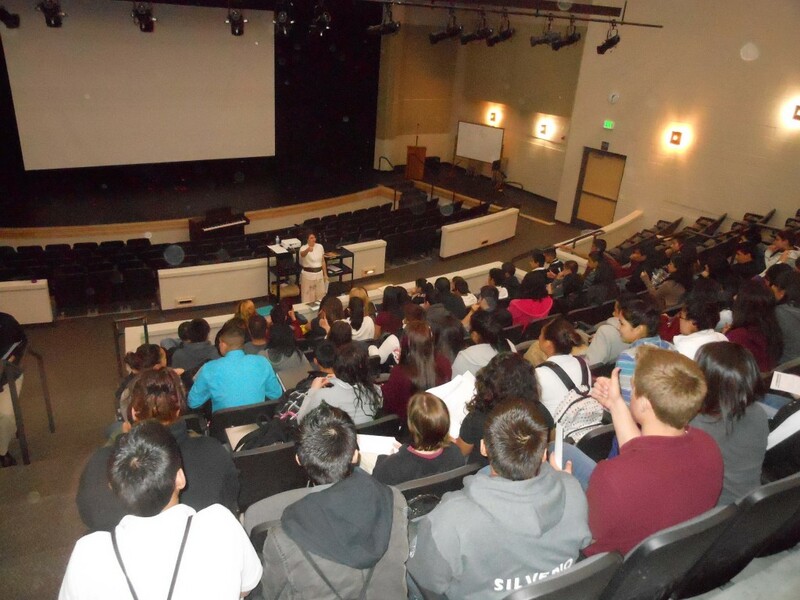 There was no better place to start an author school tour than here at Wahluke High School. The English department staff is amazing and the teachers I visited are inspiring, dedicated people. It was a privilege to present to their students. 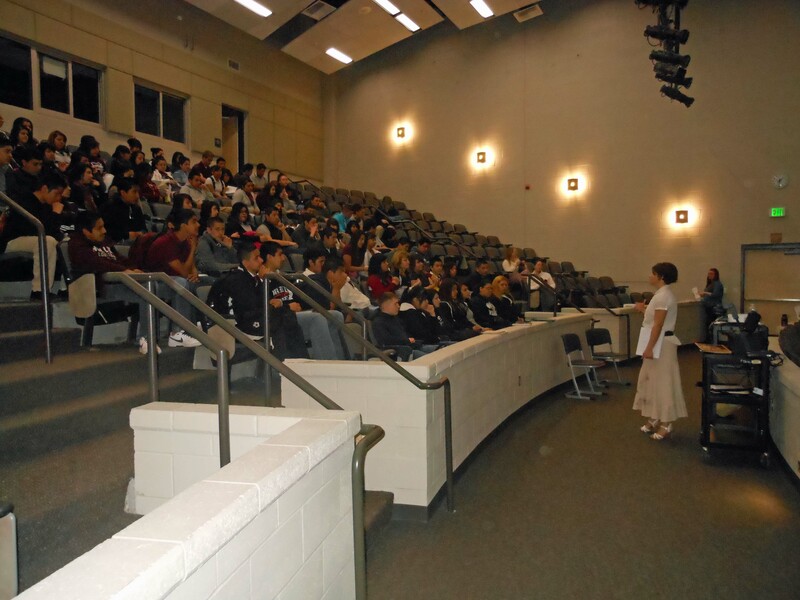 We spent the first day in the auditorium with all the English classes combined. I introduced the students to the myth of Cupid and Psyche and Painted Blind. We also discussed the power of the story and why writing is such an essential skill for each of them. The students were great. Even in this large group setting they were attentive and involved. I made them vote thumbs up and thumbs down whether or not they liked reading and whether or not they enjoyed writng. I was surprised at how many said they DID enjoy writing. Horray! This auditorium is a large and beautiful facility. However, I was glad they didn’t make me stand on the stage. They were worried because they didn’t have a mic for me. Ha! We laughed. I have have teacher’s voice. It travels. Tomorrow I have the opportunity to spend the day at Wahluke High School talking about books and publishing and all things writing. Thanks to their enthusiastic English Department for making this possible.